That name strikes fear into the hearts of many. It’s sort of an enigma among board-gamers. Like any other game there are those who love it, and those who don’t care for it. And then there are those who have never tried it, who look on it with wonder and probably confusion, and maybe even awe. It is arguably the most epic of all epic games, a space-civilization-simulator in which players must manage combat fleets, planetary exploration and conquest, politics, research, and diplomacy, all while pursuing secret and public goals that lead to the claim of the imperial throne. The game lasts anywhere from 4 hrs to upwards of 10-12 hours, depending on how many players, their experience level, and how many of the expansion rules you include. Though the idea of an 8-hour game was intimidating, I’m a sucker for epic space games, and I dove in to my first experience on December 17, 2011. We were 5 brave souls that ventured into the universe, none of us having played before. We loaded up with snacks and pop and set forth in the morning, starting at about 11:15am (after a few late arrivals and a tasty breakfast) with rules explanation, and finishing around 8:00pm. It’s no secret that I’m a big fan of highly-thematic gameplay. While I can appreciate the simple-but-deep workings of eurogames, I always enjoy blasting away at zombies or commanding a fleet of ships against other players. Though Fantasy Flight Games has received flak in the past for issues with their editing and playtesting, one thing is certain; they boldly publish highly complex, highly thematic games. Twilight Imperium, the first game FFG published, encapsulates this mindset. This is no chess variant. Despite the inclusion of ships and fleets, planets to be conquered, and a variety of tactical options, TI is not about manuevering your pieces into the best possible position. At least, not at its core. Twilight Imperium puts you in the seat of the leader of your race, whatever race that might be (and whatever type of leader it has). You guide your race from humble beginnings to a huge empire with galactic influence – and then you exert that influence on the other players. And therein lies the key to what makes this game tick. Twilight Imperium is richly interactive; and I’m not taking about “my ships just blew up your ships” kind of interaction. In a similar vein to a popular little indie game called The Resistance, the core of gameplay lies not in the specific mechanics of voting and missions, but in the discussions and arguments surrounding those actions. In The Resistance, you cannot win a solo victory – even if you figure out exactly who the spies are, you need to convince all the other Resistance members that you are right. There is no magical card you can play to force everyone to vote your way. You, as a person, must convince the other players of what you believe is the right thing to do. 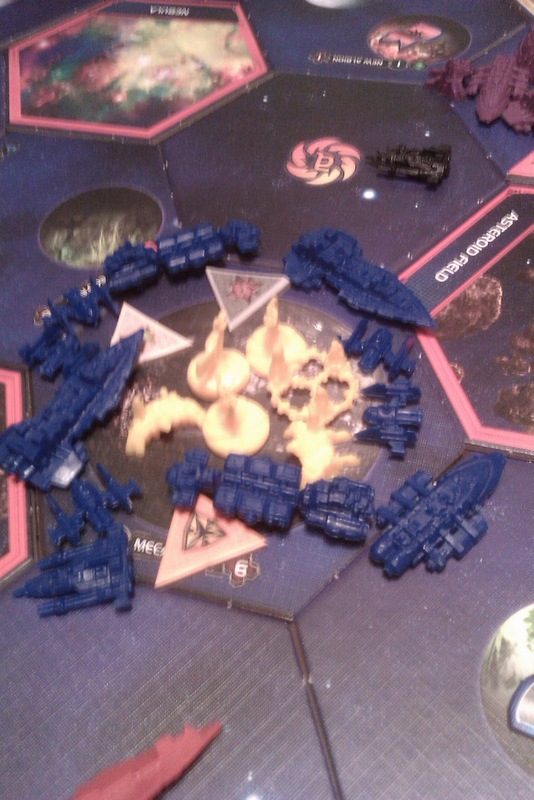 Twilight Imperium is kind of like that. Sure, it’s not cooperative in a direct sense of the word. But just like in the real world, empires can’t go around attacking everyone willy-nilly. You may not even be able to handle an invasion against a single opponent, by yourself. You have to use your powers of negotation and diplomacy – maybe even intimidation or bribery – to get other players on your side. To convince them that your target has grown too powerful or is too dangerous and needs to be put back into his (or her) place in the universe. These aren’t cards that you play to force some result. 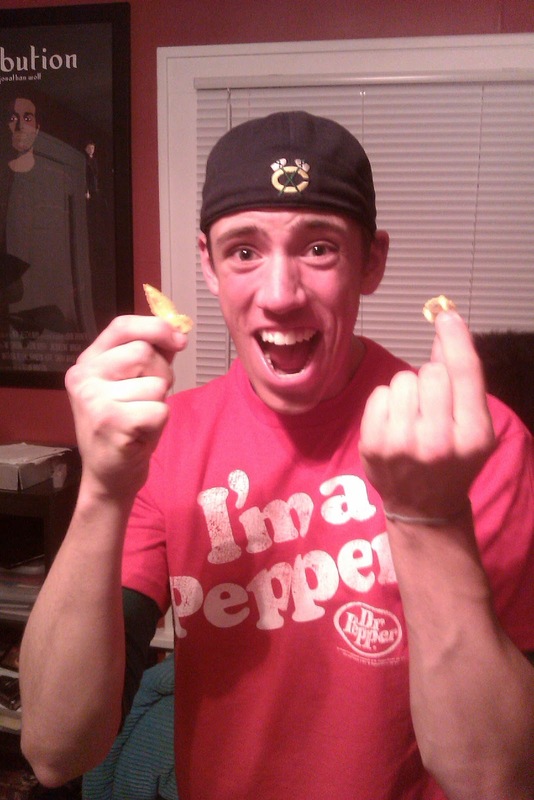 This is you, the player, doing the arguing. Even if you can take on an opponent alone, you have to be careful. The other players may not look too kindly on your actions, even if you’re not invading them. They may feel threatened; they may feel like you’ve exceeded your bounds. The other players may decide to put YOU back in your place – unless you can convince them that your actions are legitimate. Example: at one point in the game, an opponent played a Sabotage card to cancel a card I just played. The card I played was in no way going to hurt the opponent; it simply granted me control of a neutral planet. Outraged at this action, I sent a fleet of my ships against the opponent to take one of his planets in response. 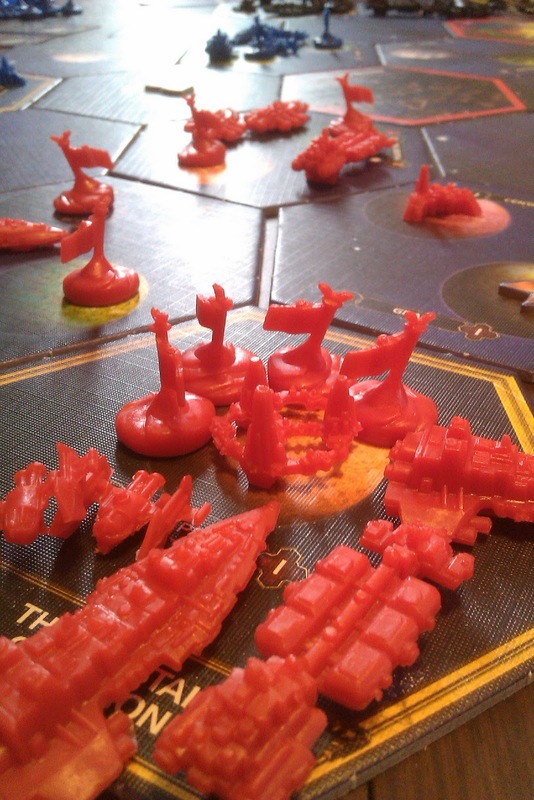 Unfortunately my fleet captain proved inneffecient (bad dice rolls) and most of my fleet was destroyed in the battle. Still, despite my failure, the other players believed my attack to be unprovoked, and as a result supported the other player, forcing me back into my own territory. I argued that the original sabotage was provocation enough and my actions were legitimate. It was at that point we truly felt like some sort of galactic council. We all simply represented our own races; their interests, desires, motivations, and goals; but had to do so within a sort of uneasy truce. We really had to negotiate for what we needed. It was brilliant. That’s what makes Twilight Imperium so great. That’s why the people who love the game, love the game. It is so interactive when you play it for what it is, and so many rules facilitate this interaction. Trade goods can be given away freely for any reason, facilitating bribery and negotiation. Political cards present conditions that often benefit only one player; but must be voted on by all players; but have to be given to someone. Since points are never gained directly by invasion or space combat, intimidation and threat can be a powerful force. It doesn’t hurt that the mechanics were pretty solid on top of that. One thing I will say in FFG’s favor – they’re willing to update a game to fix previous mistakes or to streamline a clunky function. From what I’ve read about TI, I’m glad i got in on the 3rd edition. With a number of improvements taken straight from the Eurogaming world, TI presented a fluid and interesting game world. With role selection providing a variety of strategies and a command-counter system tat allowed constant rotation of active players, the game keeps you on your toes and keeps you involved the whole time. Despite the length of the game, despite the complexity, hours blew past us. Normally a 2-hour game feels quite dragging near the end, but TI kept moving, stayed interesting, and it was almost disappointing when it had to end. We all agreed we were excited to play again; now, having a handle on the feel of the game and understanding the whole system much better. We didn’t really do very well, either. None of us really knew what we were doing; none of us very efficiently pursued our goals or had a handle on victory. But here’s one thing about highly-thematic Ameritrash games – they tend to be a fun experience, regardless of whether or not you know what you’re doing. Not that it’s frustration-free, but even if you don’t know the best strategies, you can still have fun building your epic space empire. If there’s one big thing I don’t like about Eurogames, it’s that when I’m not sure what strategies are effective or not, it’s very easy to feel totally lost, frustrated, and even uninvolved, because the strategy is everything. 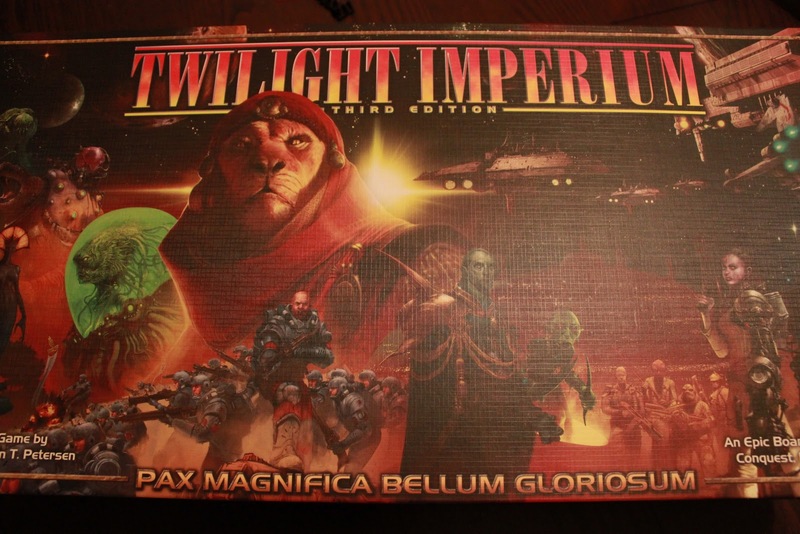 And I’m not saying Twilight Imperium is perfect. It certainly has a lot of rules to remember, some of them not quite presented in the most clear format or wording (I found an FAQ sheet online after the fact that clarified a lot of the things that were unclear from the rulebook). The Imperial strategy card offers 2 points (with an endgame of 10pts), a peculiar offering that breaks down the thematic gameplay and becomes a the target role to pick when you can, even though it offers no strategic benefit within the game (it just offers 20% of the points needed for victory… effective, but it just doesn’t seem to fit). Incidentally, not being experienced with this game, we kind of ignored this role because we were more interested in playing out our strategies instead of arbitrarily taking 2 points, but this behavior would have handed the victory to 1 player if he had decided to just take it. Another example of peculiar FFG rules that seem un-playtested. Fortunately, expansions to the game add alternate role cards, and since the rules are available freely online there’s no reason we couldn’t switch out one of these alternates for a future game. Dice rolls for space combat can be a little annoying when you lose a big fleet to a pathetic resistance just because you rolled badly and they didn’t; but certain effects offset this. And, it contributes a bit to the theme – you’re not the commander of individual fleets. You sent the fleets to do battle; the dice simulate a tactical space battle taking place outside of your control. Failure could represent an inept commanding officer or a well-fortified enemy. Fortunately it isn’t too hard to hunker down and defend yourself while you rebuild a competent fleet, and fleet size limits prevent anyone from falling too far behind military-wise. So there it is. 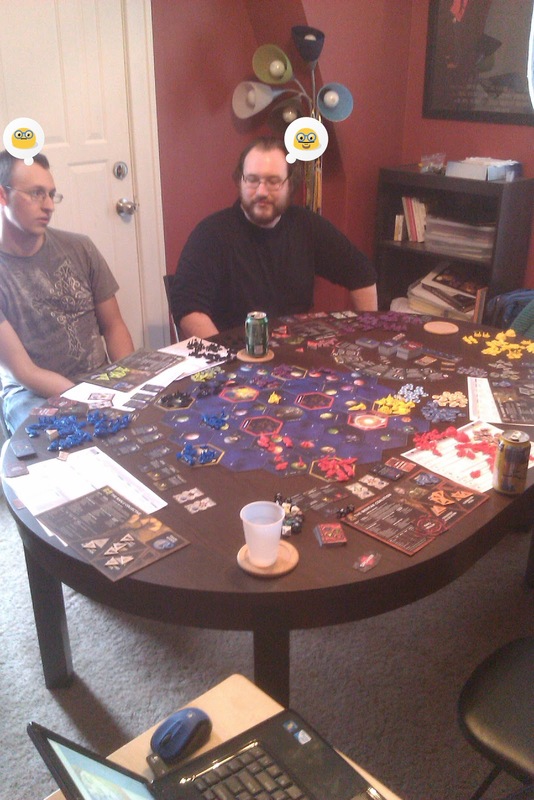 Twilight Imperium. A game so epic it can literally last an entire day. But so involved, so highly interactive, the hours pass quickly, and when it’s over you find yourself wanting to play more. If you’re looking for a strategy game about the well-planned placement of tokens on a galactic map – you won’t find satisfaction in TI. Maybe try Ascending Empires for that. Twilight Imperium is not a tactical space fleet game; but it is a richly interactive experience that allows you to feel like you are leading a race of people towards greatness in a crowded universe. It stinks that it takes so much time; not because the game isn’t worth it, but because it’s hard to schedule that amount of time into the busy-ness of life; especially when you have a dozen other 1-2hr games begging to be played. But it begs to be played. I know I can’t wait to play it again. Just as soon as my wife will let me have the time. Best review evaaaar!! I’m not afraid anymore of doing it. I’m buying this monster asap!